Windsor Christian Preschool offers a warm, nurturing environment that compares to none other. One parent commented that dropping her child off at our preschool was “just like leaving my child with family.” There is a notable sweet spirit that permeates the classrooms and hallways. This sweet spirit begins in the hearts of our staff. They have a genuine love for the Lord and a passion for what they do. This love flows from their hearts and into the hearts of the children they teach. 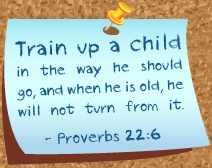 Established in 1980, Windsor Christian Preschool provides an exceptional and unique education. Our curriculum is purposefully designed to teach to all areas of development. 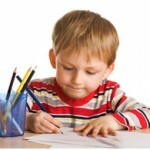 Children learn through centers and circle times which incorporate the daily theme or study unit. Each day your child will experience new and exciting activities. Kindergarten teachers from both public and private schools have commented that they can identify those children who have attended Windsor Christian Preschool. They say it is evident that the children have been prepared to perform the tasks of the kindergarten curriculum. Windsor Christian Preschool endeavors to create a love for Jesus, a love for others, as well as a love for learning. We provide a quality academic education for two and a half to five year old children within our community. We will assist parents in the nurturing of their child's spiritual, social, intellectual, emotional, and physical growth and development. Windsor Christian Academy offers full or half day kindergarten through 5th grade. If you are looking for a loving, educational institution intent on the development of Godly character, then we invite you to take a closer look at Windsor Christian Academy. To encourage others in the community, nation, and world to accept Jesus Christ as Savior and Lord; to regularly meet together to worship, honor and praise God; to help Christians grow in their faith and Christ-likeness; to minister unselfishly to people in need, and to strive to become a Christian Family of unconditional love. Sunday Morning Service starts at 10AM.